Bruno Cohen of KPIX. KPIX sourced the Bay Area Council on multiple stories about the BART strike. One KPIX report misleadingly stated that “economists estimated the first day of the BART strike costs the region $73 million in lost worker productivity alone.” The “economists” were Bay Area Council lobbyists. The story did not disclose Cohen’s seat on the board of the Bay Area Council. You would think that with four months time the media would have drilled down to the real stories underlying the BART strike. For four months negotiations between the Bay Area Rapid Transit District and its employee unions boiled, culminating in two strikes. Given that the struggle was very much about money, you would think BART’s finances, its biggest sources of revenues and expenditures, would have been put under a microscope by the press. And after the tragic deaths of two workers you would think the safety issues raised by the unions would finally have their day before the court of public opinion. Over the past four months the Bay Area’s major newspapers fixated on one narrative over all others: the inconvenience to commuters caused by the two shutdowns, a four day strike in July, and another four days in October. When the big newspapers and TV stations weren’t running the latest tale of commuter outrage, they busied themselves by attacking the unions. It was unabashed. At the height of the strike on October 19 the San Francisco Chronicle’s editorial page editor John Diaz made it clear where that newspaper’s leadership stands by writing, “strikes shouldn’t be legal.” Diaz used the muscle of the biggest newspaper in northern California to demand that the legislature ban transit strikes across the entire state. When the strike ended on October 21 the Oakland Tribune’s editors accused BART management of selling out rides and taxpayers. In a tone of outrage the paper’s editors wrote that BART managers have “no backbone,” even though they pursued a dangerous strikebreaking strategy that appears to have led to the death of two workers, run over by a train being operated by non-union drivers. 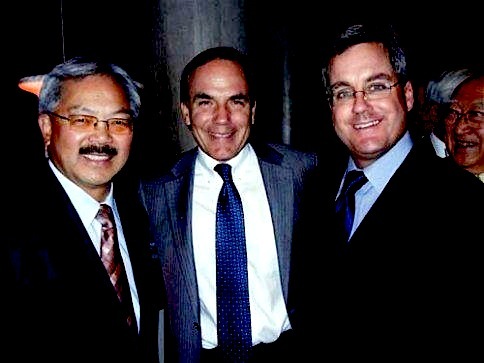 The SF Chronicle’s opinion page editor John Diaz hanging out with mayor Ed Lee and city attorney Dennis Herrera at a birthday party for the Hearst Corporation and Chronicle. Members of the Hearst family were present. Four months of strife and struggle, and at the end of it the Bay Area’s major news outlets have little to show except a flood of stories about inconvenienced commutes. The public is nowhere closer to understanding the very real problems facing the BART District and its workforce. It was an opportunity for deep reporting mostly squandered. Stunning, hardly. Neither of those reports is accurate, or in context. The context is that BART’s workers gave up pay increases in 2009 and handed over $100 million in concessions to the District. The pay raise BART employees just won is largely designed to sustain their real take home pay against inflation. In the Bay Area the cost of living has exploded over the past ten years. This year alone home prices shot upwards of 50 percent in many towns and cities in Northern California. What did the major dailies and TV stations omit from their reporting? Four months of strife and struggle around the Bay Area’s multi-billion dollar transit system that has created hundred of billions in real estate wealth and re-shaped the racial and class demographics of Northern California, and out of this watershed moment pitting labor against the bosses the Bay Area’s news media have virtually no investigative or historical analysis to offer us. The bigger media outlets could have reported on the means by which BART’s hundreds of powerful construction, and engineering contractors have ingratiated themselves with the BART board of directors and senior management. That story, begging to be told, digs down near the root of the problem. The problem is that BART management seeks concessions from labor in order to shift operating funds into the capital budget. Building out the BART system with new stations and new lines into the suburbs is politically popular, and it enriches construction companies, engineers, architects, and lawyers galore. But real estate owners, especially the commercial companies that own office properties around BART stations, have never paid a dime of their windfall capital gains into the system, leaving BART with a chronic revenue shortfall. So where to get the money to expand the system? That’s what the District’s hard bargaining with its employees is ultimately about – reducing employee pay and shifting those dollars into the capital budget. BART’s contractors, and the real estate owners who have profited handsomely from the District’s public investments, are giant companies, so reporting on their interests, and the means by which they milk BART would mean taking on powerful foes. It’s also a complicated story requiring more than just sound bites to report. Maybe that’s part of the reasons the dailies and TV stations didn’t give it a shot over the past four months? There have been some attempts to map the complex ecology of BART contractors and real estate developers, their financial linkages, their political alliances, their slush funds, the friendships and favors connecting them to BART management. Zusha Elinson’s recent stories come to mind as good journalism. Back in 1996 the Chronicle and Examiner (the latter newspaper has since been turned into a tabloid with a skeletal staff) extensively reported on BART’s corruption at the highest levels. BART Board President Mike Bernick was investigated by the FBI, and his predecessor Margaret Pryor was fined by the FPPC for hiding political campaign contributions from BART contractors. (Pryor never paid $53,000 in fines, according to the FPPC.) A lot of the dirty laundry got aired, and the public got a better understanding of how BART works on the inside. But in recent years the investigative spirit of the Bay Area’s newspapers has been replaced by a languid conservativism. Top editors at both papers are anti-union, and some even sit on the boards of business lobbying groups that don’t like the boat to be rocked. As for the newspapers, their own boats got capsized not too long ago. Both the Chronicle and Tribune were battered by the downsizing of the print industry in the late 1990s and 2000s. By the time the Chronicle ended up in the hands of the Hearst Corporation it was already running on fumes from its evaporated advertising base. Hearst Corp gutted the newsroom once and for all in 2009 when it fired around 200 staff. That was most of its reporters at the time. The place has never recovered, and its top editors and managers have only dragged the paper further to the right ever since. Nowadays half the content in the Chronicle and its online web site SFGate is advertising posing as news, or syndicated content produced far away with little relevance to the Bay Area. Being owned by the Hearst Corporation certainly has its influences. Hearst, a closely held private corporation, still majority owned by the descendents of William Randolph Hearst, is an anti-union company. Hearst Corp also owns real estate in downtown San Francisco, putting the Chronicle’s parent company squarely in the corner of the property owners who have a financial interest in squeezing the BART system’s workforce for every penny they refuse to pay in real estate taxes. Hearst owns two office towers just blocks from San Francisco’s busy Montgomery Street Bart Station. Both properties are worth millions more just by the fact that BART can bring workers from miles around to their doorsteps. Hearst also owns the Chronicle building on Mission Street, and six other major parcels in San Francisco’s SOMA district, according to Assessor’s records. In sum, the Chronicle is a little newspaper subsidiary of a major real estate owner in downtown San Francisco. Because Hearst is private we have no idea whether the real estate brings in more cash than the newspaper these days. It’s anyone’s guess. Other news media are connected directly to San Francisco’s conservative business community in ways that may have colored their coverage of the BART strike. For example, KPIX, the local CBS affiliate in the Bay Area, gave the BART strike extensive coverage, fixating especially on the inconvenience the strike caused for commuters. After the first strike in July, KPIX sponsored a poll that was widely circulated showing little public support for the workers. The poll may or may not have accurately reflected public sentiment. It surely took considerable resources for the news station to conduct it. What’s interesting is the overall editorial slant of KPIX, and how the station’s managers allocate resources, how they pick among the many worthy stories that should be told. 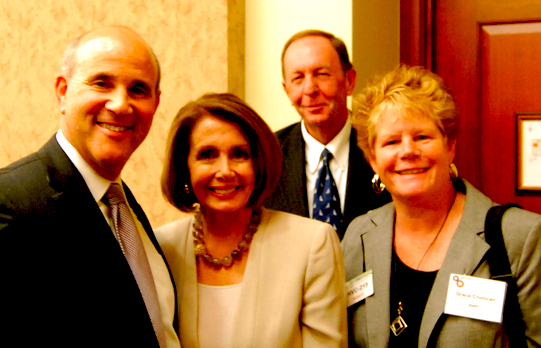 KPIX station manager, Bruno Cohen, is a longtime CBS executive who also happens to be on the board of directors of the Bay Area Council, San Francisco’s leading conservative business lobbying group. Cohen’s fellow board members at the BAC include Grace Crunican, the GM of BART, and Ted Fang, the publisher of Asian Week. Ted’s brother James Fang is an elected BART board member. The rest of the Bay Area Council’s board is stacked with representatives of businesses and law firms that have taken millions from BART over the years, all through contracts approved by Crunican, James Fang, and the rest of the District’s management. Not coincidentally, during the first BART strike the Bay Area Council conducted its own poll showing, “overwhelming opposition to a BART worker strike.” The Bay Area Council then issued press release blaming the union for costing the regional economy $73 million for each day of the strike. Cohen’s KPIX sourced the Bay Area Council on multiple stories. One KPIX report misleadingly stated that “economists estimated the first day of the BART strike costs the region $73 million in lost worker productivity alone.” The “economists” were Bay Area Council lobbyists. The story did not disclose Cohen’s seat on the board of the Bay Area Council. 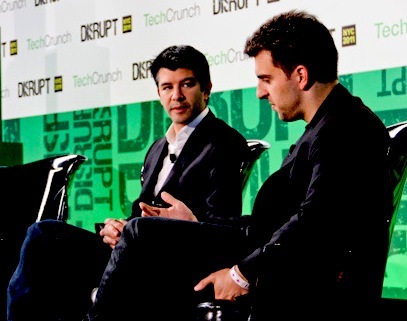 Uber’s executives at “Disrupt SF,” a tech startup industry conference. With the ridesharing phenomenon, who is being disruptive? Who and what is being disrupted? “Disruption” is the zeitgeist of Silicon Valley’s tech industry, especially in the realm of startups. The mythos is this: small scrappy hackers with very little capital and a few computers can create new business models that will topple older fossilized companies, even whole industries. In the process the economy will become more efficient and everyone will have more choices. We all win thanks to the new Internet-enabled economy. That’s not at all what is happening in reality, however. The ideology of disruption goes back a long way in the annals theorizing capitalism, but the current ideology really grows out of the work of Clayton Christensen, a Harvard Business School professor and devout Mormon who has built his academic career on case studies of disruptors. Christensen’s seminal 1998 article in the Harvard Business Review on disruption tells a story about dominant companies atop their industries —Firestone, Xerox, IBM— that were caught flat footed, and in several cases destroyed, by their smaller creative competitors. They failed to innovate and grow beyond their core markets. They failed to recognize the potential of a new technology that would make their existing products and services obsolete. This has fidelity with the actual history of American business. In a lot of cases disruption ends up being a battle of big corporations for market share. Consumers and employees within the industry aren’t necessarily better or worse off when the smoke clears and a winner emerges with a new technology and business model. But the tech boom today is characterized by a another kind of disruption. It’s social disruption. New technologies and business models don’t just attack the existing dominant corporations; they attack social relations and transform non-business spheres of life into methodical instances of economic exchange from which the new tech innovators extract revenue. The tech boom is also characterized by disruption of smaller competitive markets by emergent tech monopolists backed ultimately by huge pools of private equity and giant, monopoly-seeking corporations. The winners and losers in many cases of disruption are split along existing racial and class lines of inequality. Those with little economic or political power to defend themselves from the disruptors are seeing their livelihoods and communities turned upside down. Their small businesses are being destroyed. Their communities are becoming unaffordable. Those with cultural capital, and access to economic capital have a shot at being disruptive, at skimming some wealth off of deregulated industry and precarious labor. And the wealthy individuals and companies that should be disrupted by a clever tech startup —the tax dodging banks, the Fortune 500, the health care companies and insurance giants— have the resources to defend themselves, fend off the geeks, deploy an equally clever response to retain market share, or to just buyout the scrappy competitor and fold it into their existing empire. The ridesharing phenomenon reflects all of this and more. Ridesharing companies like Lyft, Uber, and Sidecar use the ubiquitous ownership of smartphones to connect casual drivers and passenger clients through their proprietary applications. Like any broker they take their cut of the revenue in these transactions, (Lyft, for example, skims 20 percent off each payment made by a passenger through their smartphone.) Ridesharing companies encourage unregulated, hyper-privatized transactions among precarious laborers. Their business model relies on marketizing formerly non-economic spheres of life, like giving a friend a ride in your car, and they have aggressively externalized costs like gas, insurance, payroll, etc. so that profits are maximized and expenses are as close as possible to nonexistent. In doing so they undermine the very existence of the taxi industry, but they also undermine public infrastructure in toto. Taxis are not just some private sector dinosaur that should be hit from an innovation meteor. Taxis are an integral part of every major city’s transportation infrastructure. Taxis have been strictly regulated to ensure that the industry’s companies and contractor-drivers pay revenue into the city for the infrastructure they use: roads, signals, bridges, signs, sidewalks, etc. In San Francisco taxis generate over ten million dollars each year in revenue for the city to spend on maintaining transport infrastructure. The funds also pay for the costs of regulating the industry through the Taxi Commission. Regulators attempt to shape the industry in important ways to make it more accessible and equitable and therefore democratic. For example, San Francisco’s taxi fleet is 85 percent hybrid or CNG fueled, reducing the fleet’s carbon emissions and improving the health of city residents. This environmental standard is only possible because the industry is regulated, and ridesharing companies like Uber and Lyft undermine this effort. Taxis are also required not to discriminate among passengers, and to serve all parts of the city, among other things that might not be maximally profitable. It’s this public transportation infrastructure, a big part of which is comprised of taxis, that is being disrupted by the ridesharing companies who have inserted themselves as for-profit brokers in the transportation commons. The people who will lose the most from the unbridled rise of ridesharing are those employed by the taxi industry which is seeing profits disappear. San Francisco’s taxi industry is very decentralized and highly competitive. There are about 31 cab companies today served by 10 dispatch companies, some quite big and some very small. No single firm is dominant. There are about 1,500 cabs authorized to drive within the city. The taxi industry employes several thousand workers. Taxi drivers are predominantly immigrants and people of color, and the average cabbie earns a very low yearly income. In 2000 upwards of 57 percent of San Francisco cab drivers were immigrants, with the largest groups having arrived from South Asia, East Asia, Russia and Africa. 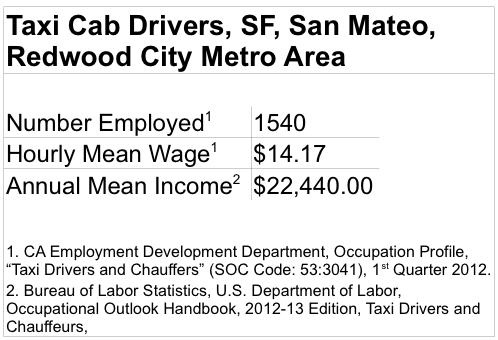 Of the 1,540 taxi drivers in the San Francisco, San Mateo, Redwood City metro region the hourly mean wage last year was $14.17, and the annual mean income was a mere $22,440. When people say the taxi industry is “ripe for disruption,” what they’re saying, besides the real inefficiencies and problems affecting most big city taxi operations, is that it is a decentralized, highly competitive industry, most of whose owners and operators are low-income people of color, many of who are immigrants. They are susceptible because they are marginalized, and because they lack political and economic clout. In San Francisco the cabbies are definitely a noisy political lobby, but up against the tech and venture capital bosses and entrepreneurs, who are most influential in the Mayor’s office, the cab drivers are impotent. That’s who is being disrupted, a competitive industry that is owned by, and which employes, working class people of color. So who’s doing the disrupting? Who benefits from this attack on the taxi industry, and more generally on the principle of a regulated transportation sector? The two biggest ridesharing companies in San Francisco are Uber and Lyft. Although they virtually didn’t exist until two years ago, between them they have raised about $390 million over the past 2 years according to securities filings with the state and SEC. Uber and Lyft are quickly expanding their ridesharing enterprises to New York, LA, Chicago, and other cities far beyond the laboratory of San Francisco. 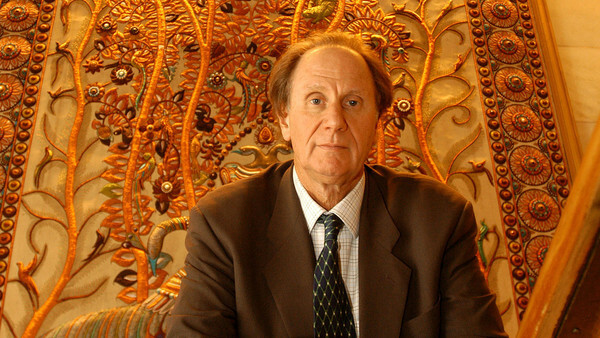 David Bonderman of TPG Capital, an Uber investor and board member. Uber’s financial backers include Goldman Sachs, Google Ventures, and four other private equity groups. Perhaps Uber’s biggest financial backer is TPG Capital. Co-founder of TPG, David Bonderman, one of the wealthiest men on earth, is now on Uber’s board of directors. Bonderman’s personal net worth is somewhere in the ballpark of $2.6 billion. TPG reportedly has $55 billion in funds under management making it one of the largest private equity firms in the world. 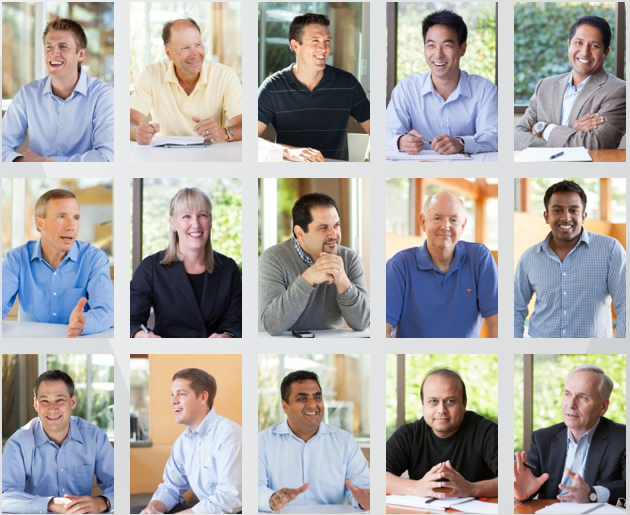 Menlo Ventures’ partners and managing directors, demographically representative of Silicon Valley’s venture capital industry. Uber’s other investors like Menlo Ventures, Benchmark Capital, and First Round Capital are pretty typical of Silicon Valley’s private equity network. The firms are owned and run by mostly white men with Ivy League college pedigrees, places like Stanford, Cornell, Harvard, Yale and other bastions of privilege. The partners at these firms are millionaires, and billionaires are not uncommon. They leverage pension fund, university endowment, and sovereign wealth dollars to invest in speculative ventures as well as established companies (and from their limited partners they extract hefty management fees). To call them members of the 1% would be inaccurate. Many of Silicon Valley’s private equity investors quality as bona fide members of the 0.1% due to the large sums of wealth and income at their command. While most are socially liberal, many of them make political investments with influential Democratic and Republican members of Congress to ensure the country’s tax code and business laws allow them maximally build their fortunes. Lyft’s financial beneficiaries are similarly elite members of the economic hierarchy. Earlier this year Zimride, the ridesharing company that developed Lyft, sold its Zimride ride-sharing application to Enterprise Holdings for an undisclosed sum. (Zimride was the equivalent of a combined craigslist ride-sharing bulletin board and Facebook.) Enterprise Holdings is a giant global corporation that booked $15.4 billion in revenue last year. As a private corporation, Enterprise is owned and controlled by the Taylor family of St. Louis. Jack Taylor, the family’s patriarch, is reportedly worth $11 billion. The Enterprise acquisition of Zimride is an example of how powerful corporate interest often respond to potential disruptors who might undermine their existing product; they purchase them and integrate them into their larger operations. In this case Enterprise, which peddles rental cars it owns, saw Zimride as something that could disrupt their profit stream, so Enterprise gobbled up the disruptor. The way Enterprise does business is changing as a result, but the distribution of economic power isn’t shifting. 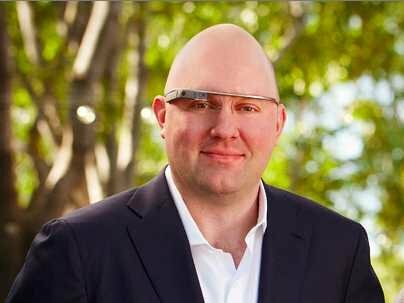 Marc Andreessen wearing Google Glass. Zimride’s Lyft ridesharing product which directly competes with taxi companies and bigger competitors like Uber received $80 million this year, mostly from the Andreessen Horowitz private equity firm. Again, Andreessen Horowitz is about as wealthy and establishment as you can imagine in American business. 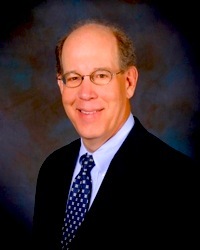 Marc Adreesseen, who half the firm is named for, got rich from developing one of the first web browsers. From the fortune he obtained doing that he invested in other big tech companies and became wealthy. Today Andreessen is a director of HP and Ebay, two Fortune 500 companies, as well as a director of Facebook. Ben Horowitz (son of the arch-conservative David Horowitz) was a founder of Opsware, a company Hewlett Packard bought for over a billion dollars back in 2007. Andreessen was a funder of that company. Opsware was possibly a disruptor to established tech companies like HP, so HP devoured it. Andreessen Horowitz manages probably upwards of $3 billion, and they have dozens of investments. They’re major backers of other disruptive tech startups like Airbnb and Udacity, two companies that are similar to ridesharing in that they are threatening the welfare and livelihoods of low-income communities and politically less powerful workers within the precariat. Look across the other smaller ridesharing startups that are competing for market share in this gold rush sector and you’ll see similar stories, fast growing companies with very disruptive business plans backed by very powerful investors. The people who’s lives will be most disrupted are going to be the less powerful working class who toil in the competitive and disorganized taxi and other transit industries. The public sector will be disrupted as it is partially privatized and as regulations are undermined in favor of new rules that allow tech companies to externalize costs as much as possible onto precarious workers. More and more parts of our lives will be transformed into relationships of market exchange. As San Francisco’s recent battles over ridesharing show, this is by no means a “natural” process. It’s politically determined as to what kind of economy we want, and how the rules of the economy will distribute wealth and income and provision for public goods.